France Robles, (2015, June 20) “Dylann Roof Photos and a Manifesto Are Posted on Website” New York Times. Jon Anderson (2015, April 20) “Hoover woman joins ISIS: Meet Hoda Muthana who fled U.S. to Syria” Alabama Media Group. UNESCO “Internet and the Radicalization of Youth: Preventing, Acting and Living Together“. Debraski, Sara, Finney, Meg, Kolderup, Gretchen, Lalitha Nataraj, et al. “Core Professional Values for the Teen Services Profession,” Young Adult Library Services Association, July 25, 2015, http://www.ala.org/yalsa/sites/ala.org.yalsa/files/content/YALSA_CoreProfessionalValues.pdf. Act for Youth “U.S. Teen Demographics” -http://www.actforyouth.net/adolescence/demographics/. 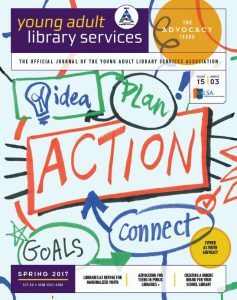 By YALS Editorial Advisory Board April 28, 2017 April 22, 2017 Advocacy, Technology, YALS, YALSA Info. Office of Partner Engagement. Federal Bureau of Investigation. Preventing Violent Extremism in Schools. (January, 2016) https://info.publicintelligence.net/FBI-PreventingExtremismSchools.pdf. American Association of School Librarians. Standards for the 21st Century Learner http://www.ala.org/aasl/standards/learning. “What Is Advocacy?” American Association of School Librarians. December 15, 2015. Accessed February 04, 2017. http://www.ala.org/aasl/advocacy/definitions. 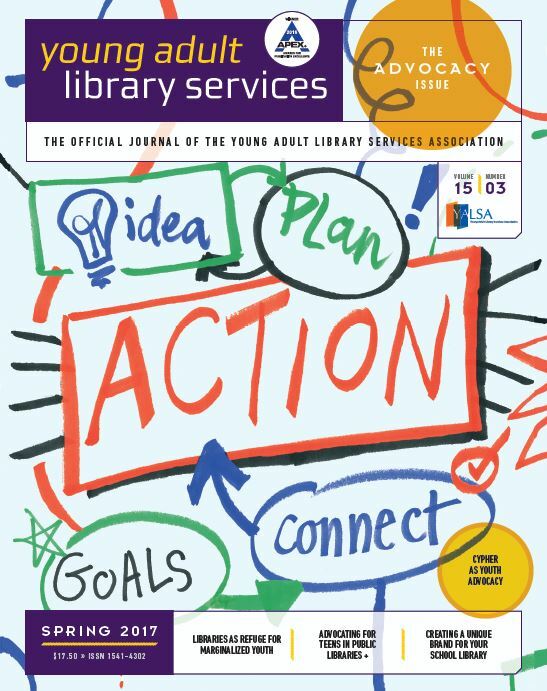 Young Adult Library Services Association,. 2017. YALSA Advocacy Toolkit 2017. PDF. Young Adult Library Services. http://www.ala.org/yalsa/sites/ala.org.yalsa/files/content/2017%20Advocacy%20Toolkit.pdf.